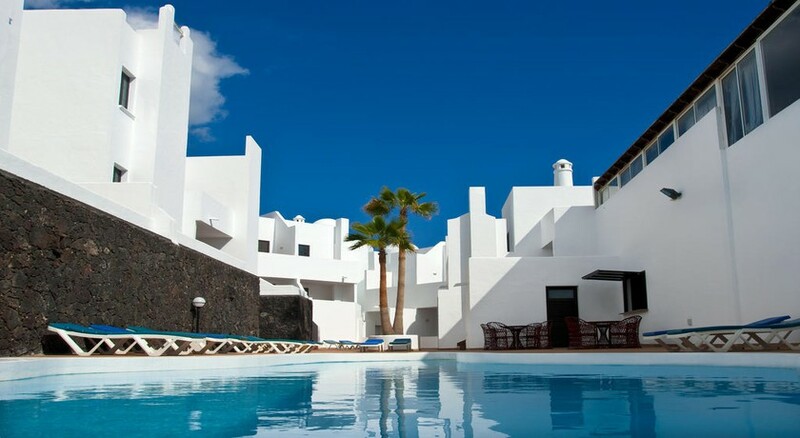 Looking for a pocket friendly budget and self-catering unit in Lanzarote, Spain — check out the Hotel Tabaiba Centre. Beach and market areas are close to the hotel and it provides all basic three-star facilities and services. Although a self-catering hotel, it has an a la carte restaurant and a snack bar. The rooms are decent and clean, and come equipped with all standard facilities and full-functional kitchenette. 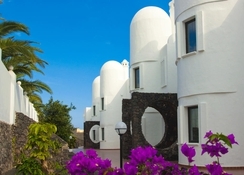 Hotel Tabaiba Centre offers a free shuttle to guests to the beach resort of Costa Teguise, 2km away. The hotel’s white buildings feature a unique combination of straight lines and smooth curves. Each of the modern apartment and studio has bright, simple décor, modern furnishings and tiled floors. 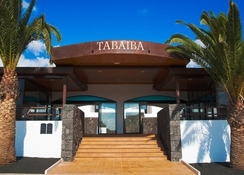 Renovated only in 2011, Hotel Tabaiba Centre offers 75 rooms that are of four categories. The property is two storeys high and the view is great as the backyard opens to a huge open space. 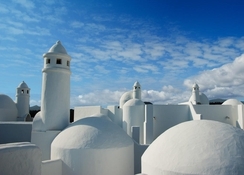 The surrounding is clean and very calm, a perfect destination for a peaceful holiday. The location is central as waterpark, tennis courts, paddle centre and golf course are just a few minutes away from the hotel. The beach is approximately 600 metres away from the hotel, which takes about 10 minutes on foot. And for shopping, the nearest market is located around 1000 metres, about 15 minutes on foot — for mobility, the hotel offers a free shuttle. 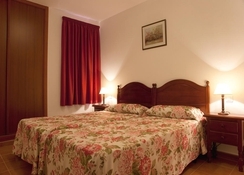 Hotel Tabaiba Centre’s accommodations are categorised as studios, one-bedroom apartments and two-bedroom apartments. Standard facilities featured in each category are sitting area with sofa (not available in Studios), safety deposit, en suite bathroom with shower, WC, telephone, coffee/tea maker, and kitchenette with fridge, microwave, dining area, and kitchenware. 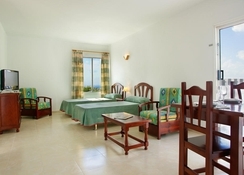 Each room has plenty of space, designed with modern furniture and has a private furnished balcony. Hotel Tabaiba Centre has an a la carte restaurant that serves local and international cuisine freshly prepared by its local chefs. It also has a snack bar that serves alcoholic and non-alcoholic beverages and light bites. Its alcohol collection in the bar is pretty handsome, thus you’ll be served all regular international brands. Hotel Tabaiba Centre has a decent size playground which is common for all guests. It has two outdoor pools with sundeck — sunbeds, umbrellas and beach towels are provided. In case needed, there is an internet corner that opens from morning till night. A bit far out 20min walk to front. Taxis were about 3euros one way. Hotel has lots of steps. I didn't mind any of that. Hotel was clear and staff were very helpful. Nice enough. Room extremely basic. Long walk to go anywhere.